Protect your right to free prescribing and every patient’s access to customized medications. Visit www.savemymedicine.org for more information. Compounding combines an ageless art with the latest medical knowledge and state-of-the-art technology, allowing specially trained professionals to prepare customized medications to meet each patient’s specific needs. Compounding is fundamental to the profession of pharmacy and was a standard means of providing prescription medications before drugs began to be produced in mass quantities by pharmaceutical manufacturers. 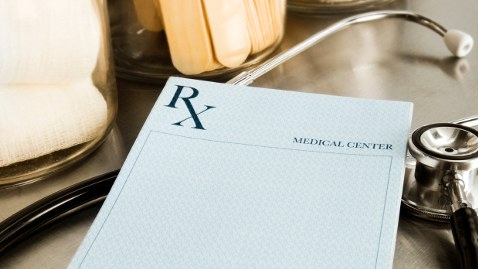 The demand for professional compounding has increased as healthcare professionals and patients realize that the limited number of strengths and dosage forms that are commercially available do not meet the needs of many patients, and that these patients often have a better response to a customized dosage form that is “just what the doctor ordered”. unique dosage forms containing the best dose of medication for each individual. medications in dosage forms that are not commercially available, such as transdermal gels, troches, “chewies”, and lollipops. medications free of problem-causing excipients such as dyes, sugar, lactose, or alcohol. combinations of various compatible medications into a single dosage form for easier administration and improved compliance. medications that are not commercially available. Our compounding professionals can formulate suitable medications as sublingual drops, oral and nasal sprays, lollipops, rectal solutions and suppositories, and other customized dosage forms. Please contact us to discuss your patients’ needs. Any medication that is administered via injection must be made and packaged in a sterile environment. AgeVital Pharmacy has a state-of-the-art Class 100 Clean Room and 797 compliant facility. This means that your medications are made in a very clean atmosphere by specially trained pharmacists and compounding technicians using advanced techniques and sterile equipment. Regular, ambient air outside in a normal urban environment supports about 35,200,000 particles larger than 0.5µm in diameter per cubic meter and over 1 billion particles over 1µm in size per cubic meter. AgeVital’s clean room maintains an atmosphere 10,000 times cleaner than regular urban air. While government regulations only require the hood space to be this clean, AgeVital’s whole laboratory is this clean. We strive to maintain the safest environment possible for your assurance. We perform testing for potency, sterility, endotoxins, and fungal contamination. The list below is a sample of compounded sterile injectables. Contact us to receive additional information regarding formulations, strengths, sizes, preservative-free formulations, and pricing.